Are you going through credit card debt? Then, have a look at your expenses you squandered money wastefully. This would help you protecting from landing into another such scenario. Analyze the mistakes you have made and learn lessons from them. Here are some blunders, which often overloads the store of debt. Don’t ever ignore your credit reports. Do check them at least once, so that you can find out mistakes. This way, you would be able to remove the inaccuracies, as allowed by the Fair Credit Reporting Act. It is also important for getting better interest rates, getting right job and protecting against an identity thief. By sending a correction letter to big three credit reporting bureaus, Experian, TransUnion and Equifax, you can get error on your credit report rectified. By paying little amounts incur interest rate every time you make a transaction, thus, the amount of accumulating debt ruins your savings. So, it’s advisable, if you pay the full amount at one time. Don’t delay the payments and pay the whole amount as soon as possible. When you can make purchases with cash or debit card, but making trivial buying of $20 and $30 many a times, then it keep adding to your balance, thus making you pay high monthly interest charges. Try paying for purchases under $50 with cash, debit or check. Many people think that transferring balances on high-interest cards to lower-rate cards can be an effective idea, but it could also prove wrong, if you keep charging on the new card. Such a procedure will end up amassing more debt after the expiry of introductory rate. So, if you cannot abstain from charging, either pool your account with more balance or cut your unnecessary expenses. Try paying new purchases with cash or a debit card. When you know that you are going to land into a financially hard situation such as job retrenchment, then do negotiate with your card issuing company on lowering interest rates temporarily, explaining it your hardship. There is likelihood that the card you are making your purchases with, bear high interest rate, in the wake of not paying off the balance every month. Better use general-purpose credit card to make payments. Also keep number of credit cards limited to two, one from which payments can be made every month and other with low interest rate to make large purchases. Some people think making budget as an unnecessary activity. But planned expenses can help you minimizing your debt. So, do make a budget of your future spending and save funds for the necessities. Don’t ever delay saving for the rainy day. You never know when you get caught with emergencies such as accidents or urgent trips, so, do maintain a contingency fund of at least three to six months’ worth of living expenses. Add your incentives or bonuses to your savings to handle an urgent situation. 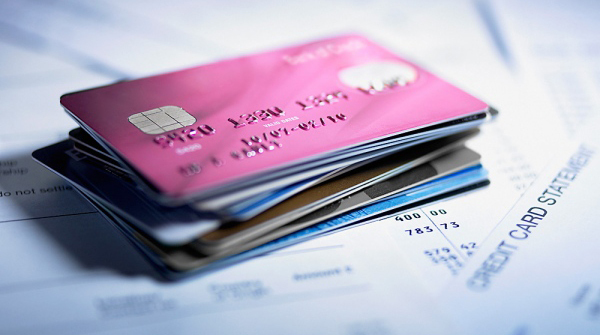 Making credit card payments late can accumulate huge debt by adding late fees. A payment that is paid 30 days late can declare the account as default and treble the interest rate. This way, other creditors could also start charging you a default interest rate, on account of bogus creditworthiness. Paying the bills that have a farther due date in comparison to other bills can also amass your debt. Firstly clear your living expenses, laying emphasis on the house or rent payment first followed by other necessities. Next post: Are you Making Everyday Count?